CATHCART, CHARLES MURRAY, 2nd Earl CATHCART, army officer and colonial administrator; b. 21 Dec. 1783 in Walton-on-the-Naze, England, son of William Schaw Cathcart, 10th Baron Cathcart, and Elizabeth Elliot; m. 30 Sept. 1818 Henrietta Mather, and they had six children; d. 16 July 1859 in St Leonards (East Sussex), England. Charles Murray Cathcart carried on a family tradition of military service dating back to at least the 16th century. Educated at Eton College, he joined the 2nd Life Guards, of which his father was colonel, as a cornet and sub-lieutenant in 1799. He served, chiefly in staff appointments, in Holland in that year, in Naples and Sicily (Italy) in 1805–6, under his father at the siege of Copenhagen in 1807, and at Walcheren (Netherlands) in 1809. After a short bout of “Walcheren fever,” he joined Lord Wellington’s army in the Iberian peninsula as a lieutenant-colonel and assistant quartermaster general in 1810, and fought there at the battles of Barrosa, Salamanca, and Vitoria. He filled a similar post in the army of occupation in Holland, his service in the struggle against Napoleon culminating at the battle of Waterloo in 1815, where he had three mounts shot from beneath him. He received several medals and in 1815 was made a cb. Cathcart, who was known by the courtesy title of Lord Greenock after his father’s elevation to the rank of earl in 1814, continued in senior quartermaster-general appointments at home and abroad after 1815. In 1823 he took command of the Royal Staff Corps at Hythe (Kent), where aspects of the work awakened a passion for science, and more particularly for geology and mineralogy, which he never relinquished. On 22 July 1830 he was promoted major-general and went into semi-retirement in Edinburgh, where he pursued his scientific interests. He attended lectures at the university, read and published papers, and became a valued member of the Highland Society of Scotland and a fellow of the Royal Society of Edinburgh. His next military appointment, as governor of Edinburgh Castle and commander of the forces in Scotland from 1837 to 1842, permitted him to stay on in Edinburgh. In 1840 near Port Glasgow he discovered a new mineral, a sulphide of cadmium which became known as greenockite. In mid June 1845 Cathcart, who had been promoted lieutenant-general in 1841 and had succeeded his father as 2nd Earl Cathcart and Baron Greenock in 1843, assumed command of the forces in British North America. His predecessor as commander-in-chief, Sir Richard Downes Jackson*, died as Cathcart was arriving. The threat of war with the United States over the Oregon boundary, which the British government considered serious, was almost certainly the reason for Cathcart’s appointment. He was available at short notice, holding no full-time military employment, and his military credentials were impeccable. A 15-gun salute and guard of honour welcomed him to his headquarters in Montreal on 17 June 1845. 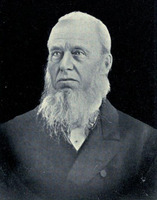 When a painful cancer forced the governor-in-chief, Sir Charles Theophilus Metcalfe*, to resign, Cathcart became administrator of the Province of Canada on 26 November. The imperial government saw the advantages of uniting the highest executive powers, civil and military, in the same person at a time of crisis in Anglo-American relations. Cathcart’s instructions were dispatched on 3 Feb. 1846 and he formally took office as governor on 24 April. He seemed unlikely to succeed. Retiring in his habits and conversation, he was inexperienced in politics and ignorant of constitutional practice. His instructions, which preached the necessity of harmony between the executive and the assembly, and yet set Metcalfe as a shining example, provided little guidance. Cathcart’s speech from the throne on 20 March 1846, while he was administrator, warmly and perhaps naïvely commended his predecessor, much to the consternation of Robert Baldwin and some of his more extreme colleagues in the assembly. 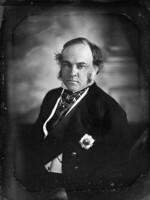 James Johnston*, the Conservative member for Carleton, expressed dissatisfaction in the house at this step backwards into the age of the military governor. Soon thereafter, Cathcart had to be admonished from London for improperly entering into correspondence with the speaker of the House of Assembly in Prince Edward Island, Joseph Pope*, concerning petitions to be forwarded to London. Cathcart concentrated on defence. He championed a redrafting and consolidation of the militia laws and signed the Militia Act of 1846, the first of the united province [see Sir Étienne-Paschal Taché*]. He travelled more than 2,000 miles to examine the borders and defences of his domain and studied reports such as the one by Captain Edward Boxer on naval strength in the Great Lakes. Disagreeing with the assessment that all territory south of the St Lawrence River would have to be abandoned in the event of war with the United States, he was bitterly disappointed that the British government seemed unaware of the pressing need to spend more money, particularly on new works. The Oregon Boundary Treaty, signed on 15 June 1846, made Cathcart instantly dispensable. By the end of July the new administration of Lord John Russell moved to extract two regiments from Cathcart’s command and to replace him as governor with Lord Elgin [Bruce*]. Cathcart was “a mere soldier,” Colonial Secretary Lord Grey said later; there was “extreme danger” in leaving him as governor. Characteristically, Cathcart found it easier to accept the loss of his position than the reduction of his army. He was asked to continue as commander-in-chief, but refused. He had realized from the beginning how vulnerable a soldier-governor was, how “very precarious” his tenure would be. Once he had held the highest office, however, he would not revert to a lesser one. Again this decision was in character: it was made not for his own sake but for that of his office. Cathcart stayed on as governor until Lord Elgin arrived on 30 Jan. 1847 and as commander-in-chief until May. Elgin’s first speech from the throne contained no praise for his predecessor. Cathcart returned to England to command the Northern and Midland district. His active service ended on 20 June 1854, when he became a full general. In 1858 he fell ill, and did not recover. He died at his seat in Sussex the next year, shortly after having been made a gcb. His beloved Royal Society of Edinburgh published a generous tribute to “a long and useful life” of goodwill, service, and achievement. AO, MS 78. PAC, MG 24, A28; RG 7, G1, 109–15; G12, 64–65; G14, 17–18; RG 8, I (C ser. ), 31, 35, 1194B. Private arch., Alan Cathcart, 6th Earl Cathcart (London), Cathcart papers. Debates of the Legislative Assembly of United Canada (Abbott Gibbs et al. ), vols.5–6. Gentleman’s Magazine, July–Dec. 1859: 306–7. A list of the officers of the army and Royal Marines on full, retired, and half-pay . . . (London, 1829). 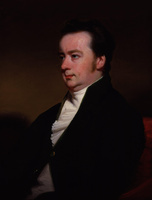 J. C. Dent, The Canadian portrait gallery (4v., Toronto, 1880–81), 4: 166–67. DNB. Hart’s army list, 1841–55. Morgan, Sketches of celebrated Canadians, 448–57. The Scots peerage, founded on Wood’s edition of Sir Robert Douglas’s peerage of Scotland . . . , ed. J. B. Paul (9v., Edinburgh, 1904–14). [Charles] Neaves, “[Opening address],” Royal Soc. of Edinburgh, Proc. (Edinburgh), 4 (1857–62): 222–24. O. A. Cooke and Norman Hillmer, “CATHCART, CHARLES MURRAY, 2nd Earl CATHCART,” in Dictionary of Canadian Biography, vol. 8, University of Toronto/Université Laval, 2003–, accessed April 24, 2019, http://www.biographi.ca/en/bio/cathcart_charles_murray_8E.html.